Feiwel & Friends, 9781250015570, 320pp. 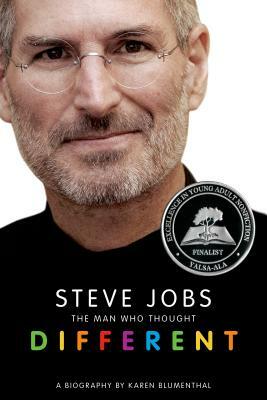 A riveting biography of the groundbreaking innovator who was a giant in the worlds of computing, music, filmmaking, design, smart phones, and more. A finalist for the YALSA Excellence in Nonfiction Award! From the start, his path was never predictable. Steve Jobs was given up for adoption at birth, dropped out of college after one semester, and at the age of twenty, created Apple in his parents' garage with his friend Steve Wozniack. Then came the core and hallmark of his genius—his exacting moderation for perfection, his counterculture life approach, and his level of taste and style that pushed all boundaries. A devoted husband, father, and Buddhist, he battled cancer for over a decade, became the ultimate CEO, and made the world want every product he touched, from the Macintosh to the iPhone, from iTunes and the iPod to the Macbook.